Point 0h! Este espacio tecnológico por y para los jóvenes de 8 a 12 años es un nuevo proyecto subvencionado en el Centro de Niños de la Biblioteca Central de SFPL. Invitamos a los jóvenes que vengan con sus familias o su clase. Tenemos equipo de última generación como Smartboard, iPads, computadoras y equipo creativo como mesas con luz incorporada, videocámaras, teclado electrónico y más. Invitamos a profesores y organizaciones que trabajan con los jóvenes a que reserven una visita de clase regular para que puedan disfrutar con este nuevo equipo y creen sus propios proyectos. Las visitas deben solicitarse con dos semanas de antelación para que todos puedan disfrutar de Point Oh! el nuevo espacio tecnológico para los jóvenes. LEGO Motorized Mechanisms – Please allow two weeks lead time. Number of participants: Can work with up to 16 total, if the kids are comfortable working in pairs. 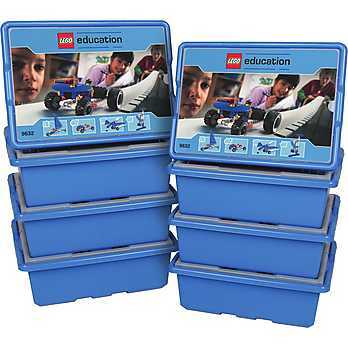 Duration: One and a half hours – Some of your kids may be fairly advanced in LEGO construction, but one and half hours allows enough building time for those new to the kits. This program involves kids building motorized and freewheeling (no motor) LEGO vehicles from prepared kits, using illustrated directions and paired collaboration to complete the desired machine. Two librarians would be on hand to assist, answer questions, and offer guidance where needed. LEGO Story Starters – Please allow two weeks lead time. Number of participants: Can work with up to 16 total, if the kids are comfortable working in pairs. It is also possible more can be accommodated, with the kids working in groups of four.